A product premier like no other so far in Poland. A computer game presented as a national treasure – is it at all possible? Yes! That was the context in which the game, The Witcher 3: Wild Hunt, was broadly discussed on all Polish media: television, radio, online, and print. In addition, on the release day the news about part 3 of The Witcher overshadowed even the Polish presidential campaign! We could only dream about such a campaign finale. The news of this incredible game’s premiere reverberated long after its release date. 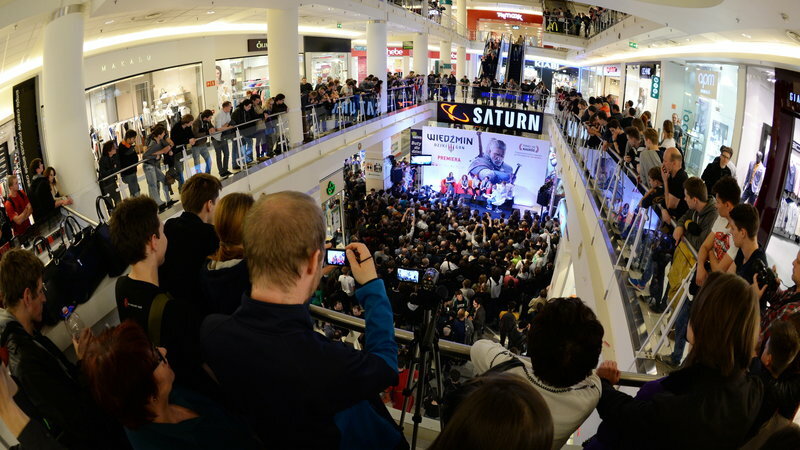 The campaign had an impressive reach: 3,800 publications in major television and radio stations, printed media and online; 1.8 billion exposures to the game-related communications and PLN 16 million of advertising equivalent. Impressive campaign! The campaign scored a spectacular success. For weeks, journalists (and not only from game industry media), politicians, gamers and people who even never thought of games before, continued to talk about the Witcher. 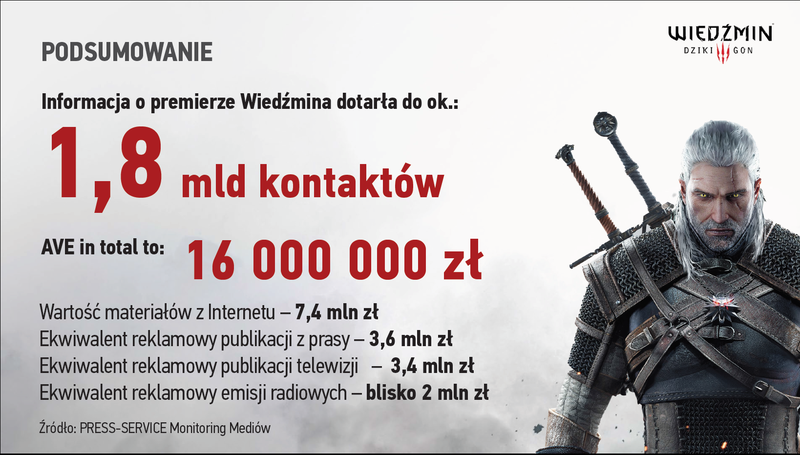 In addition, on the release day the news about “The Witcher 3: Wild Hunt” overshadowed even the Polish presidential campaign! “The Witcher 3: Wild Hunt” is a truly unique and amazing production – anyone who has the slightest interest in games knows that. However, to capture the interest of people typically not interested in computer games, i.e. the general news media and public opinion leaders, one must be cool-headed about the communications strategy. Given our untamed enthusiasm for the Witcher – this has proven a big challenge. We needed to highlight the exceptional nature of this project to encourage media's interest. The most difficult – and major – task was to capture the interest in the game's release of the journalists from the broadest-reach Polish media, whose reaction frequently was, “Are you really calling me about the third part of the game?? ?” Note: the quote is genuine, and one of many similar. First we held long discussions about the form of the promotion, followed by an analysis of the game and looking for contexts interesting for people from outside the gaming world, including those who never had any exposure to it. We generated quality content about the Slavonic culture, strongly marked in the game, and about “The Witcher 3: Wild Hunt” being a real national treasure. Next, we spent even more time to talk to opinion leaders and journalists, in order to refine the quality of the content. Moreover, politicians were also involved in the promotion – the release event of “Poland's greatest export hit” was visited by the then Prime Minister Ewa Kopacz. President Bronisław Komorowski invited the authors of the game to the Presidential Palace, and the competing presidential candidate Andrzej Duda was asked about his knowledge of the Witcher game by political journalists during election campaign press meetings.